A cold therapy system is an effective treatment option for those who suffer from arthritis. Cold therapy relieves your symptoms and helps you slow the progression of your arthritis. Arthritis is something that most people deal with eventually. There are over 100 different types of the condition. A diagnosis of arthritis simply means that something is wrong with at least one of your joints. Knowing how our joints work is the first step in understanding arthritis. Inside our joints, ligaments hold the bones together. These stretch like elastic when we move our joints. Bones are padded with cartilage so that they do not rub directly against each other. This is what allows for smooth and painless mobility. Also, each of our joints is surrounded by a capsule called the synovial membrane, and is filled with synovial fluid. This liquid provides nourishment to the joint as a whole – especially to the cartilage. 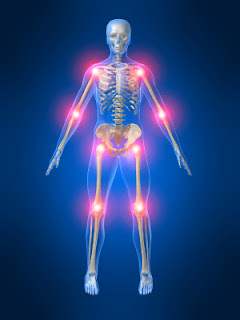 Rheumatoid arthritis is a form of joint inflammation. For unknown reasons, the synovial membrane is attacked by the body’s own immune system. Unlike Osteoarthritis, it usually affects both sides of the body. For example, it occurs in both hands or in both knees. Osteoarthritis is a stiffening of the cartilage. Stiff cartilage means fragile cartilage. Not only does the cartilage smooth the joint movement, but it is also a shock absorber. Stiffened cartilage will suffer from wear and tear much more quickly than healthy cartilage. As cartilage wears away, the ligaments become over-stretched resulting in pain. Given enough time and cartilage loss, the bones will actually rub against each other. This bone-on-bone friction causes very severe pain. What are Cold Therapy Systems? The purpose of a cold therapy system is to cool isolated body parts for extended periods. How do Cold Therapy Systems Help with Arthritis? Cold applications reduce swelling and inflammation by constricting blood vessels. Slowing blood flow to the area, cold therapy reduces the buildup of fluids. It will also stimulate the release of endorphins, which lower the number of pain signals that are sent to the brain. This combined effect will numb even deep arthritic discomfort. Cold therapy systems are especially helpful when pain flares up after activity. Unfortunately, arthritis causes many people to avoid physical activity. Limited activity leads to many health problems, but it also makes arthritis worse. Weight gain and the loss of strength cause joints to hurt even more. To keep your joints flexible, you have to keep them moving. The use of a cold therapy system relieves the pain. This also allows you to go about your business without dedicating a hand to keep your compress on. Most importantly, it allows you to be active. You will be able to exercise the affected joint throughout your daily routine. Cold therapy systems make exercise a possibility for people who would be in too much pain otherwise. Exercise helps bone and cartilage health. Strengthened muscles take pressure off your joints. All these benefits of exercise greatly reduce the progressive nature of arthritis. Prescriptions are not required cold therapy systems, but it is a good idea to speak with your doctor before using any cold compress for more than 20 minutes at a time. Some patients find that combining heat therapy with a cold therapy system provides extra relief, though this is not the case for everyone. Some people get more arthritis relief from cold therapy systems alone. There is no cure for arthritis, but we can slow its progression. Remember, the most important thing is to stay mobile. Practice range of motion stretches and get exercise. If arthritic pain has kept you from these activities, a cold therapy system can make them possible again.